In 2016, the New York Times proclaimed Ursula K. Le Quin “America’s greatest living science fiction writer.” Her works earned many awards over her long career, including multiple Hugo and Nebula awards for science fiction and fantasy writing, the Newbery Medal for children’s literature; the PEN/Malamud Award for excellence in short fiction; the National Book Award for young people’s fiction and the National Book Foundation’s 2014 Medal for Distinguished Contribution to American Letters. She was inducted into the American Academy of Arts and Letters last year. over Lake Coeur d’Alene on steep cloudy pastures. feet yoopee! over the top! Le Guin died peacefully on Monday in Portland, according to a brief family statement posted to her verified Twitter account. Her son, Theo Downes Le Guin, did not immediately return a call Tuesday. She often criticized the “commercial machinery of bestsellerdom and prizedom” despite being a finalist for the Pulitzer Prize in 1997 – a rare achievement for a science fiction-fantasy writer. 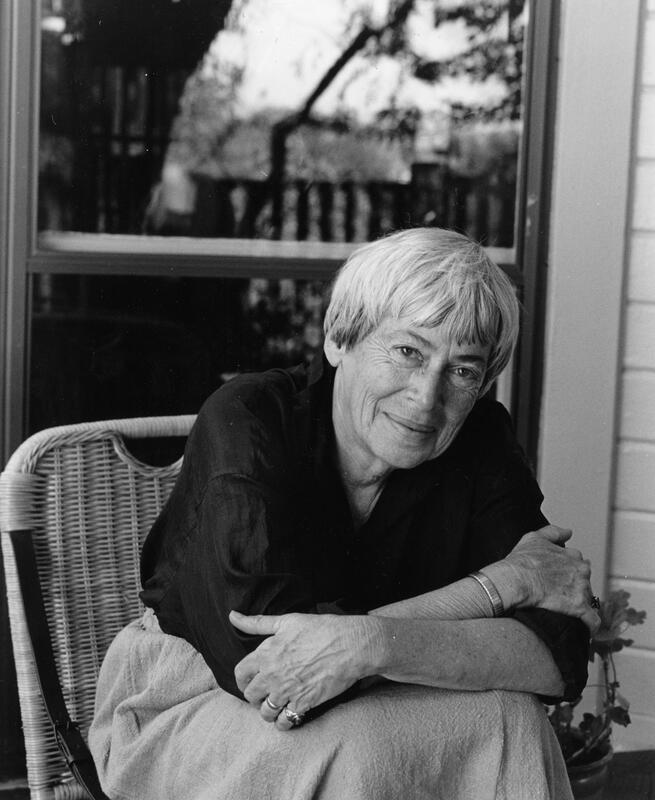 Le Guin’s first novel was “Roncannon’s World” in 1966 but she gained fame three years later with “The Left Hand of Darkness,” which won the Hugo and Nebula awards – top science fiction prizes – and conjures a radical change in gender roles well before the rise of the transgender community. She met Charles Le Guin while both were Fulbright scholars en route to Paris aboard the Queen Mary. They married in Paris in 1953. After a short stint in Moscow, where she taught French at the University of Idaho, they moved to Portland and had three children. Published: Jan. 23, 2018, 3:09 p.m. Updated: Jan. 23, 2018, 4:54 p.m.